select *, DATE_FORMAT(birthday, "%b %e, %Y") as _birthday, DATE_FORMAT(died, "%b %e, %Y") as _died, MONTH(birthday) as month_birth, DAY(birthday) as day_birth, DATE_FORMAT(birthday, "%b %e") as _birth_day_month from agatti_people where agatti_people.u_name = "donna-reed"
Shares birthday with Sabu Dastagir, Buddy G. DeSylva, Joyce Compton see more.. 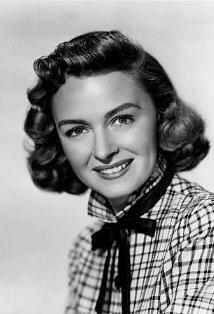 Legendary actress, Donna Reed, was born Donna Belle Mullenger on Jan 27, 1921 in Denison, IA. Reed died at the age of 65 on Jan 14, 1986 in Beverly Hills, Los Angeles and was laid to rest in Westwood Memorial Park Cemetery in Los Angeles, CA. 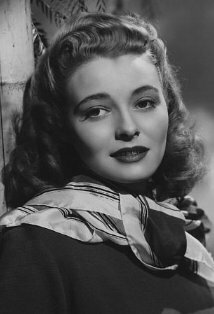 Donna Reed was born Donna Belle Mullenger on January 27th, 1921 in Denison, Iowa and was the oldest of five children born to William and Hazel Mullenger. She was raised in a quiet farming community where her father worked as a farmer and her mother an elementary school teacher. Although Reed acquired an interest in acting while attending Denison High School, she sought to follow her mother's career path into teaching. She excelled at academics and would leave the school at the top her class. Despite this, however, after graduating, the family could not afford to send their eldest child to college. On the advice from an aunt living out west, Reed relocated to Los Angeles to attend Los Angeles City College as an affordable alternative. She studied business with the hopes of becoming a secretary. During her time in Higher Education, Reed began appearing in a number of the school's production but didn't think of making a career out of it. She was won the title of Campus Queen and her photograph was featured in the Los Angeles Times. Although she was approached by talent scouts, Reed made the decision to finish her education before entertaining any offers. After graduating with an associate's degree in 1941, Reed decided to take MGM up on an offer and went in for screen test. The studio executives where impressed and promptly offered the young girl a seven year contract. In 1941 Reed made her screen debut in the forgettable detective film The Getaway where she played the wholesome and loyal sister of an on-the-run gangster, Dan Dailey. The film helped to establish what would be Reed's screen persona for the next decade. Over the next ten years, Reed would play series of all-American wholesome girl-next-door types, whose appeal lay more in sincerity than glamour. That same year she played supporting roles in two high profile films Shadow of the Thin Man and an uncredited appearance in Babes on Broadway. She worked with Mickey Rooney again in 1942, playing the secretly beautiful "ugly duckling" in The Courtship of Andy Hardy. That year Reed also made appearances in five other films including The Bugle Sounds, Mokey and Apache Trail. In 1943 she starred with Mickey Rooney yet again in the aptly named comedy The Human Comedy. The next year Reed remained busy, appearing in the fairly forgettable films See Here, Private Hargrove and Gentle Annie. In 1945 Reed received third billing in the big screen and big adaption of Oscar Wilde's novel The Picture of Dorian Grey. In the films, Reed played Grey's conservative love interest. 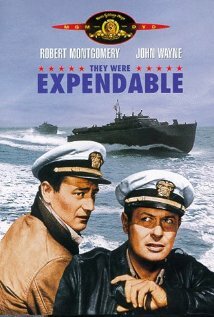 That year she also once again gained third billing as the compassionate Navy Nurse Lt. Sandy Davyss in the film John Ford's film They Were Expendable. During World War II Reeds wholesome screen persona and Middle America-corn fed good looks proved very popular with G.I. 's She contributed to the war effort by frequently making appearances at the Hollywood canteen, dancing with servicemen. In 1946 Reed was top billed for the first time in the romantic comedy Faithful in My Fashion. 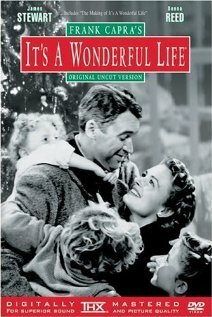 That year she also starred in one of her signature roles as Mary Bailey in the Christmas classic It's a Wonderful Life. Although it's hard to imagine anyone else as the role as George Bailey's supportive wife, Reed was not the Capra's first choice. 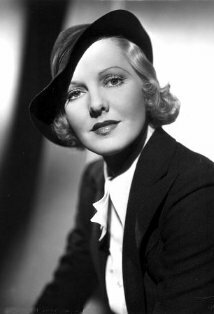 He actually first pursued Jean Arthur and then Ginger Rogers. Both actresses were forced declined due to other engagements and Capra had to look elsewhere. 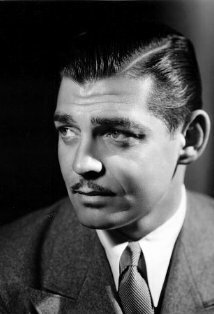 At the behest of Capra, Reed was loaned to RKO from the MGM to play the part. Upon its initial release, the film was generally well reviewed but a huge box office disappointment, barely breaking even with its high production cost. The film went on to received five Academy Nominations and is now revered as one of the best films of all time. Through out the late 1940's and early 1950's, Reed continued to play wholesome, "good girl" roles. In 1947 she starred opposite Lana Turner and Van Heflin in the historic love triangle, Green Dolphin Street. In the film, Reed played one of two sisters in love with same man. Two years later she played a murder victim in the Alan Ladd Vehicle Chicago Deadline. In 1952 she broke out of her comfort zone by costarring in the film noir Scandal Sheet opposite Broderik Crawford and John Derek. 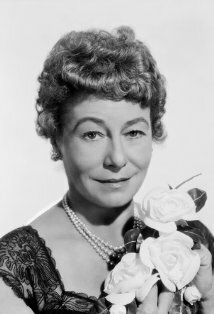 Although Reed herself still played a character traditionally associated with her screen persona, its darker themes were a departure from her usual light comedies. The next year, however, would provide Reed with an even bigger departure from her normal on-screen persona. In 1953 Reed was cast in the big screen adaptation of the James Jones novel, From Here to Eternity. The film follows a group of soldiers stationed in Hawaii during the months leading to the attack on Pearl Harbor. Reed played the role of Lorene, a prostitute at local brothel who begins a relationship with enlisted man Robert E. Lee Prewitt. The cast included Montgomery Clift, Frank Sinatra, Burt Lancaster, Deborah Kerr, and Ernest Borgnine. The film would go on to be a massive success and grossed over 18 millions dollars, making it the tenth most profitable film of the 1950's. Critics were as equally giving as the public, with much of the film's praise going to its actors. From Here to Eternity went to be win eight of it's thirteen Academy Awards including Best Supporting Actress for Donna Reed. Although Reed had proved her range as an actress with her role in From Here to Eternity, her Oscar win did little to change the trajectory of her career. She returned to playing sweet and wholesome women. Her next appearance on the big screen was as the socialite sponsor of a golf tournament in the Jerry Lewis/Dean Martin comedy Caddy. 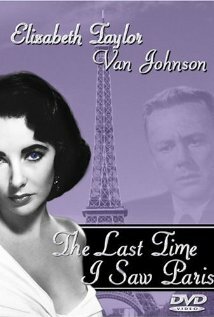 The next year she appeared in the Elizabeth Taylor, Van Johnson romance The Last Time I saw Paris. 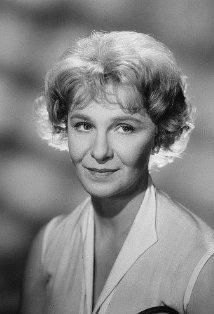 That year she also made her first appearance on the bourgeoning medium of television on The Ford Television Theatre. 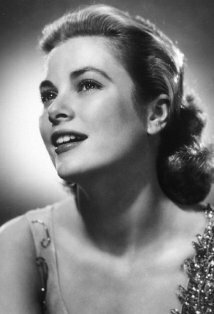 She appeared in a few more films during the 1950's but found TV more her calling. After her contract with MGM expired in 1958, Reed made the jump to her own television show. In 1958 starred in her own sitcom, The Donna Reed Show. In the series Reed played the quintessential TV wife, Donna Stone, the dutiful wife and mother of a small town American family. Although the show had a rocky start, it would eventually become a hit. The show would run for eight seasons until 1966 and garnered Reed four Emmy nominations for Best Actress in a comedy series. 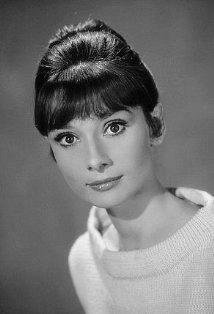 In 1963, she won the Golden Globe Award for Best Female Television Star. After the series finale in 1966, Reed took a hiatus from acting to focus on her family. She also became heavily involved with political advocacy and was a strong opponent of the Vietnam War. She also chaired the anti-war advocacy group, Another Mother For Peace. She returned to the screen in 1979, starring I the TV movie Deadly Lessons. 1984 she appeared on the popular TV show The Loveboat. Her final role came on the popular nighttime soap opera Dallas, replacing Barbara Del Geddes as Elle Ewing in the 1984/85 season. However, when Geddes decided to return the next year, Reed was fired. She sued the production company for over breach of contract but settled out of court for $1 Millions dollars. Soon after, she was diagnosed with cancer. Donna Reed died on January 14th, 1986. She was 64 years old. Donna Reed was nominated for one Academy Award, winning for Best Supporting Actress for From Here to Eternity (as Lorene/Alma) in 1953. Mary Hatch: [trapped naked in a bush] Shame on you! I'll tell your mother! George Bailey: [thoughtfully] My mother's way up on the corner there. Mary Hatch: I'll call the police. George Bailey: They're way downtown. Anyway, they'd be on my side. Mary Hatch: Then I'll scream! Mrs. Hatch: [calling from upstairs] Mary, who's down there with you? Mary: It's George Bailey, mother! Mrs. Hatch: Well, what does he want? George Bailey: What do I want? Why, I'm just here to get warm, that's all! Mary: [calling up] He's making violent love to me, mother! Biography in: "The Scribner Encyclopedia of American Lives". Volume Two, 1986-1990, pages 725-727. New York: Charles Scribner's Sons, 1999. In Italy, a great deal of her films were dubbed by Renata Marini and Dhia Cristiani (most notably From Here to Eternity (1953)). Occasionally she was also dubbed by Miranda Bonansea (in Green Dolphin Street (1947)), Rosetta Calavetta and Micaela Giustiniani. The great Lidia Simoneschi also lent her voice to Reed in Frank Capra's much celebrated It's a Wonderful Life (1946). In the scene from It's a Wonderful Life (1946) where she and James Stewart throw rocks at the old Granville house, director Frank Capra had originally planned to use a double in Donna's place to throw the rock. Miss Reed, however, was an accomplished baseball player in high school and threw very well, as evidenced by her toss in the movie.